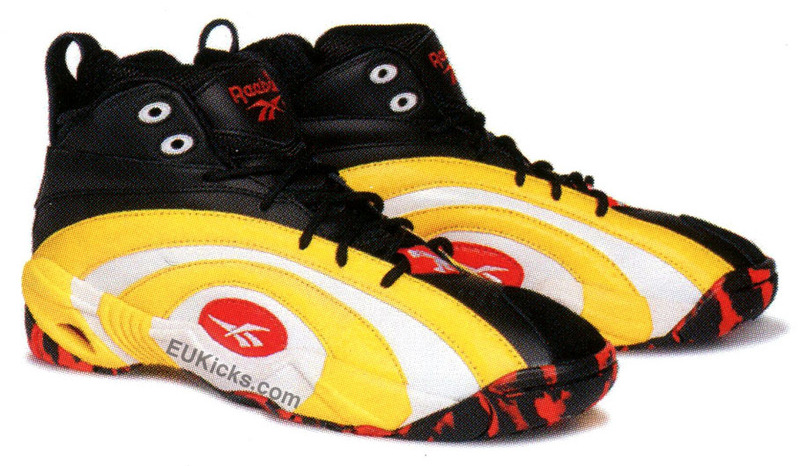 Last seen in Sneakersnstuff's 'Tribute' colorway, the Reebok Shaqnosis is set to return this fall with a new look that seems to be inspired by the Miami Heat. 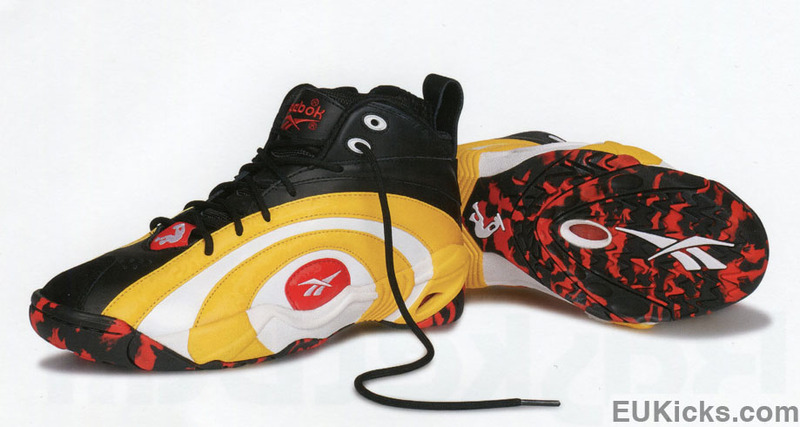 The shoe sports a black leather base with a counterblocked Shaqnosis pattern in yellow and white. Red works various branding hits and teams up with black for a marbled outsole that we've never seen used on the classic model. No release date for this colorway at the moment, but we'll be sure to keep you posted here at Sole Collector.